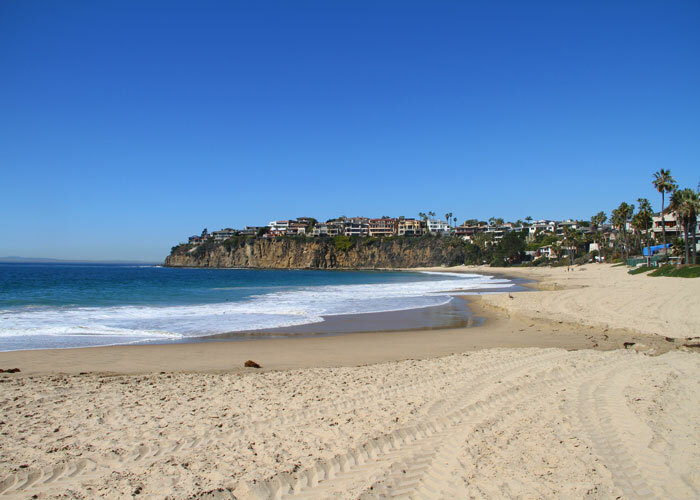 Emerald Bay is located between the Smithcliffs and Irvine Cove communities in North Laguna Beach and is considered the most sought after community in all of Laguna Beach. 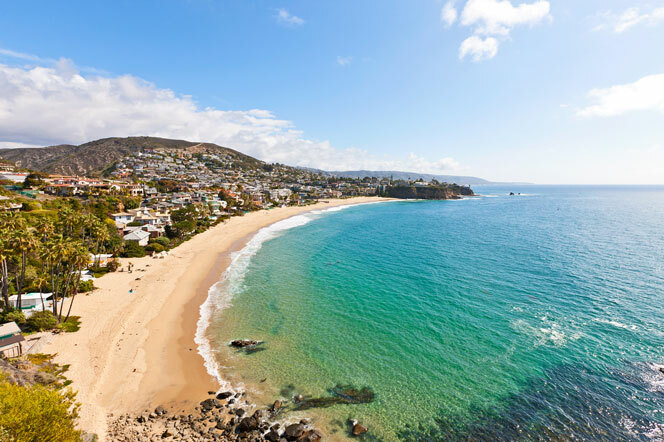 View all the recent Emerald Bay homes sales in the last 12 months here. 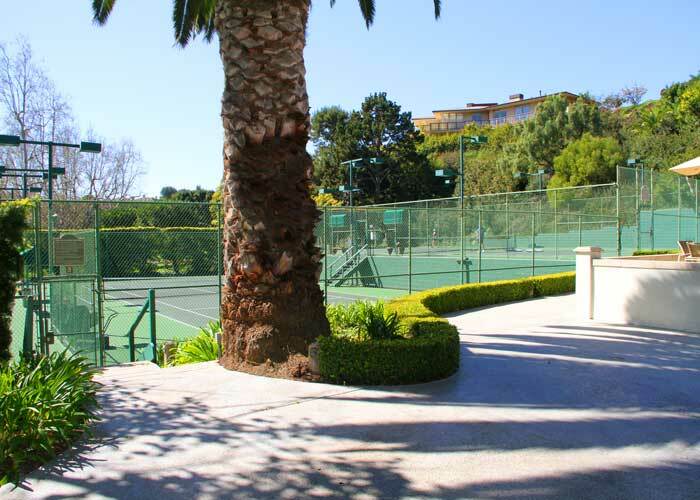 The Emerald Bay community has many association amenities for it's residents. 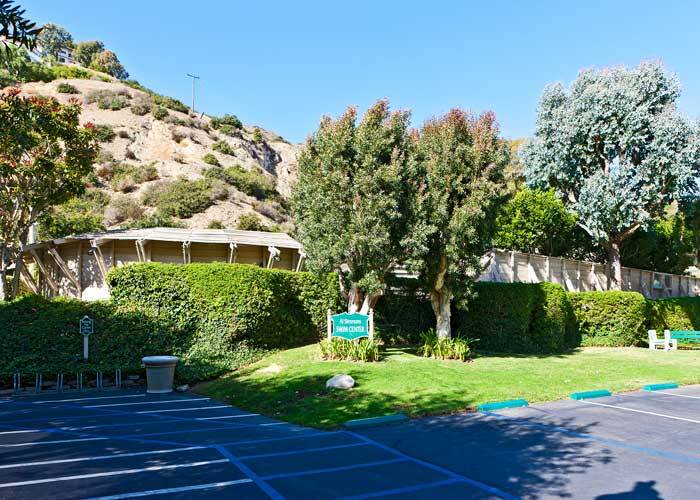 Below are some photos of the community and the benefits of living in Emerald Bay. Wonderful views at the private beach of Emerald Bay. Homes on the cliff have some of the best ocean front views. 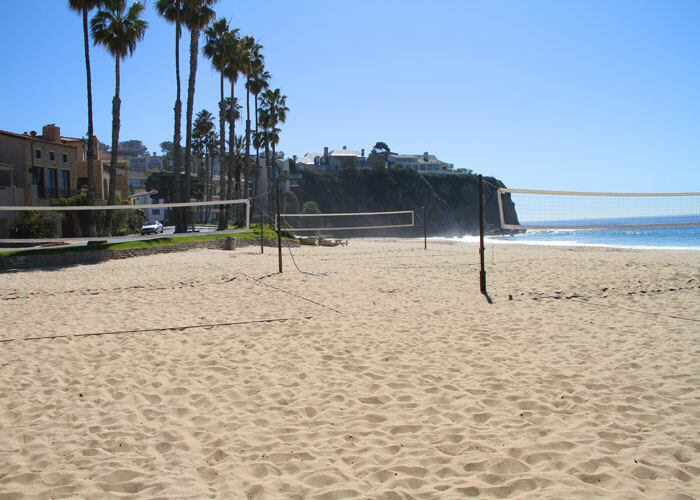 Beach Volleyball is a popular spot during the summer months. Nothing better than catching a game with the waves crashing in the background. Emerald Bay has a large park area that is a popular spot for those catching a quick game of basketball or to play with the kids. 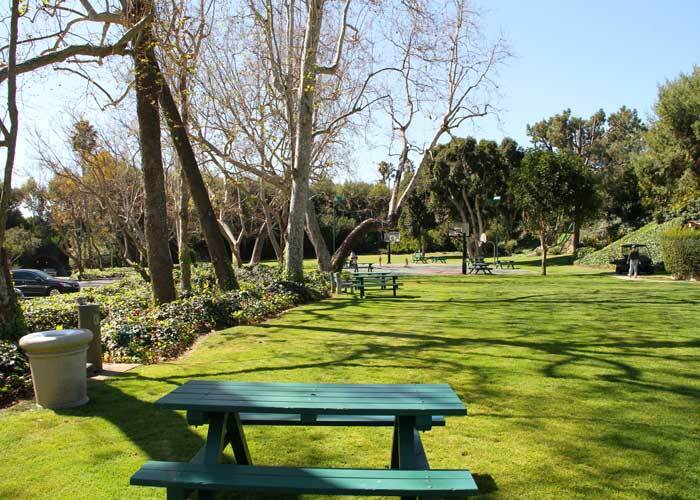 The park is very large and has a dedicated play area as well as tennis courts located next door. 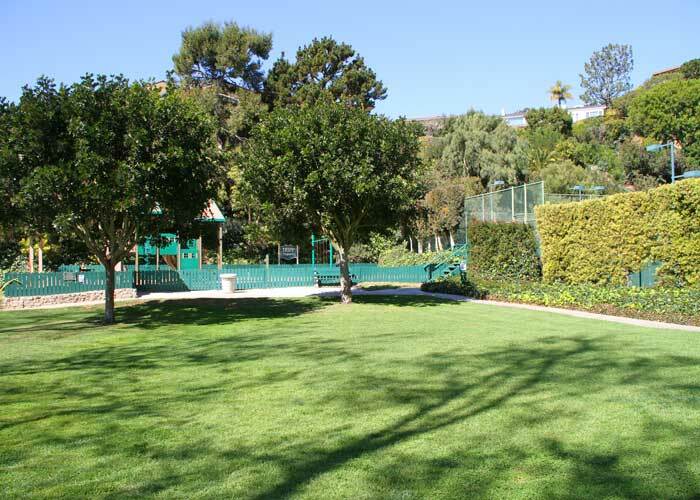 Multiple tennis courts are next to the park and the Emerald Bay clubhouse. 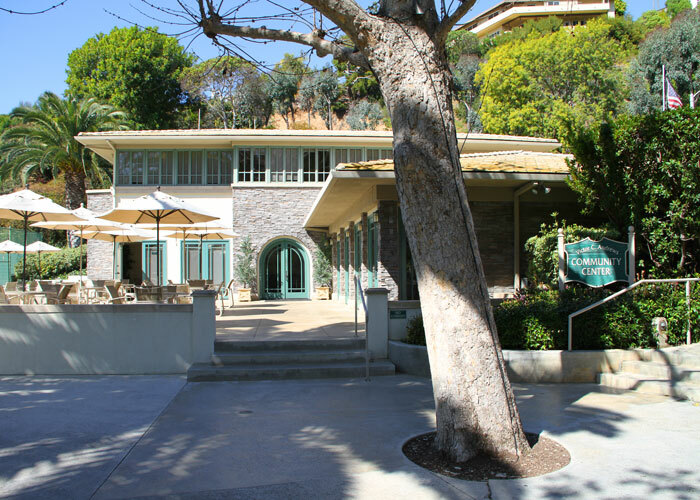 The Emerald Bay clubhouse is elegant and is a wonderful place to enjoy the sunny weather. Emerald Bay Olympic size pool and kids pool has recently completed renovation and looks great. 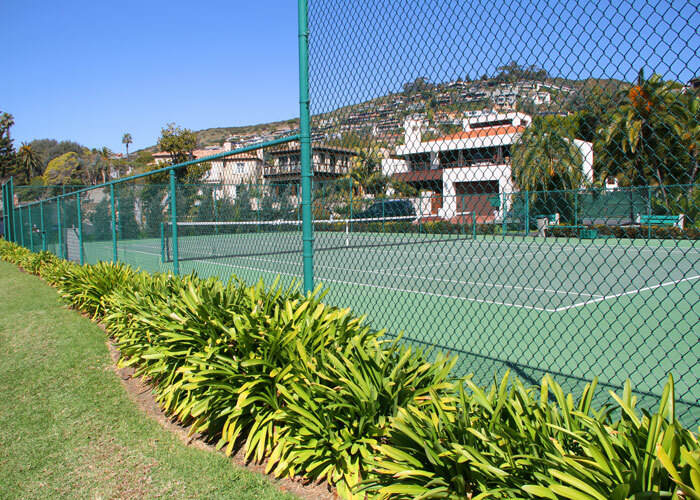 Another set of tennis courts are located on the ocean side of the community right next to the beach. 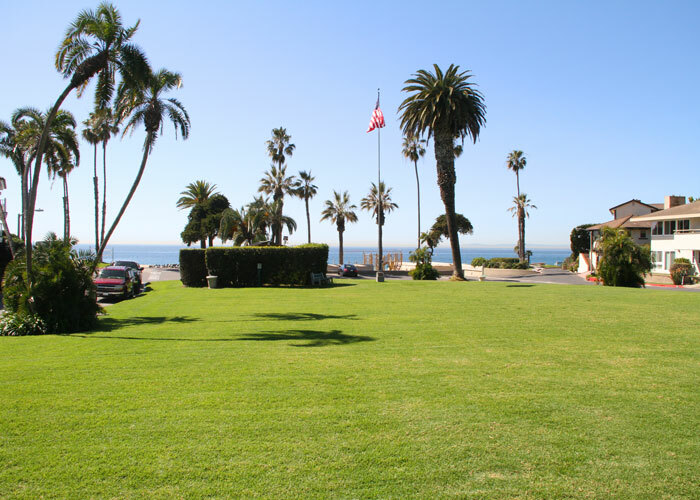 A view from the beach tennis courts that overlook the ocean and large grassy area. 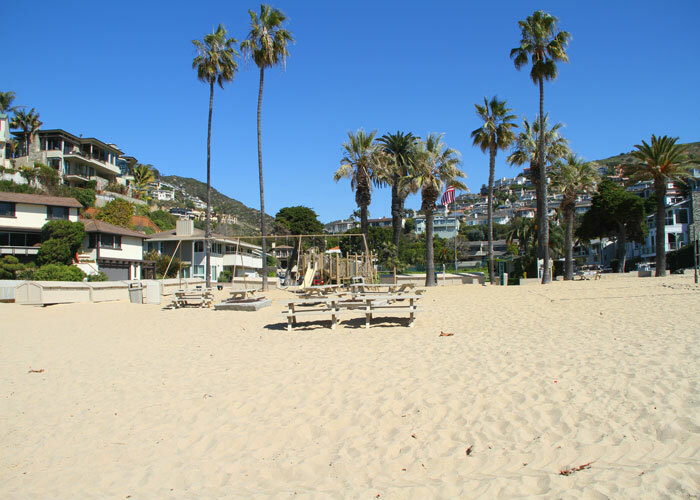 Residents enjoy the private beach area 365 days a year. Please contact us for your free community tour.